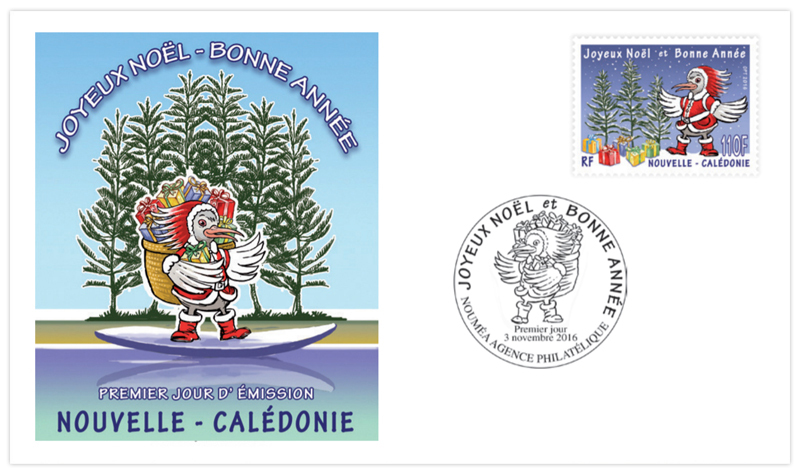 COLLECTORZPEDIA: New Caledonia 2016 - Merry Christmas and Happy New Year! New Caledonia 2016 - Merry Christmas and Happy New Year! 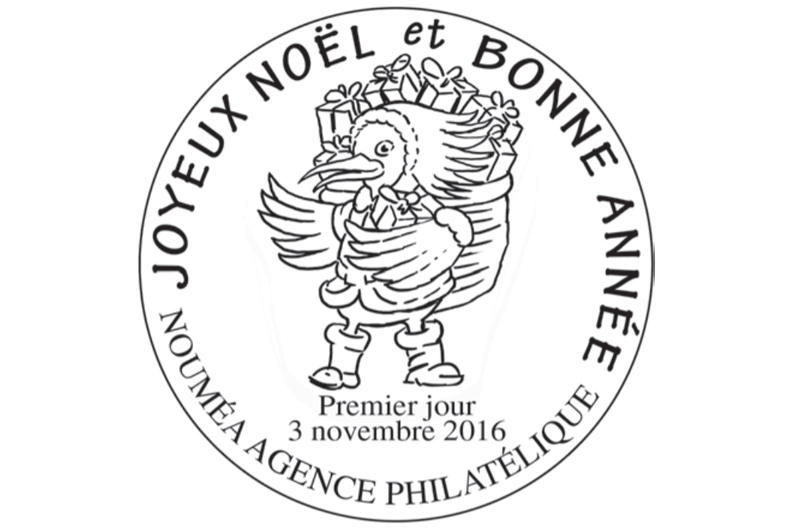 As usual, the New Caledonia Office des Postes et Télécommunications is ending the year in style by issuing its traditional 110 XPF stamp to celebrate Christmas and the New Year. 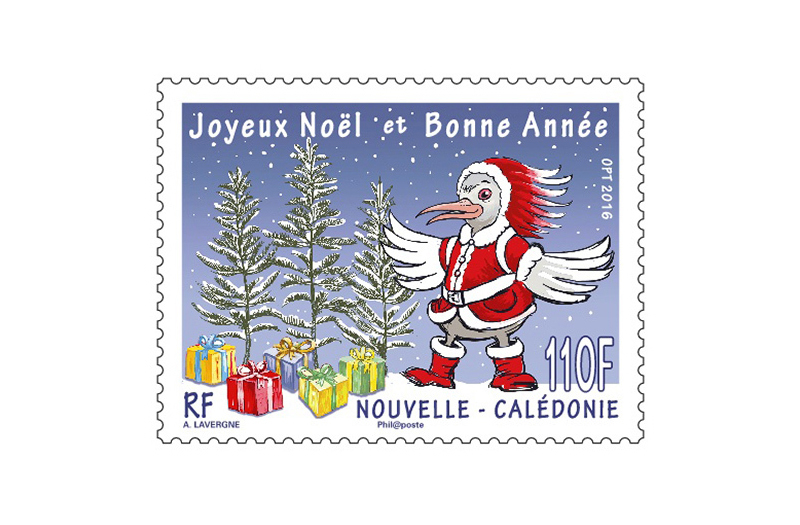 Designed by André Lavergne, this new stamp features our iconic kagu dressed up as Santa with a cosy coat and furry boots to keep feet and feathers warm, laden with lots of lovely gifts to delight kids and adults alike, ready to pile round the feet of the snowy column pines. You’re bound to see him go by as he carries the thousands of cards and parcels that the people of New Caledonia send to friends and family everywhere with messages of joy and affection to celebrate the festive season. This little kagu clad in snug winter garb will add a touch of warmth, colour and gaiety to your cards and letters to France and Europe.